Mr. Troy Allen Swinford, 82, a long-time resident of Ledbetter, KY, passed away at Lourdes Hospital on Friday, December 7th with his family by his side. Troy was born at home in Bayou, KY on February 4, 1936 to Orville and Marie Swinford. His greatest joy was laughing and having fun with others. He enjoyed playing his guitar and other instruments. 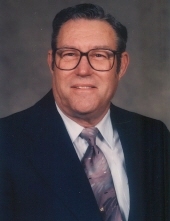 Troy owned and operated a service station in Ledbetter for 41 years. He served in the U. S. Army from 1958-1960 stationed at Fort Knox, KY and Fort Irwin, CA. Those left to cherish his memory are his beloved wife of 62 years, Janice (Bozarth) Swinford of Ledbetter; sons, Tony (Diana) of Lone Oak, Wayne of Ledbetter, and Curt (Shelly) of Reidland; sister, Loretta Blankenship of Metropolis, IL; grandchildren, Deana (Tyrone) Williams, Alec (Alli) Swinford, Sydnie and Carter Swinford, John Grimes (Erika) of Mariposa, CA; great granddaughter, Aubree Williams; extended family, Rhonda (Marvin), Julie Buford; several brother-in-laws and sister-in-laws; and many nieces and nephews. He was preceded in death by three sisters, two brothers and his parents. Funeral services will be 1 PM, Tuesday, December 11, 2018, at Boyd Funeral Directors and Cremation Services. Burial will follow in Oak Grove Cemetery. Friends may visit from 10 AM until the funeral hour, Tuesday, December 11, 2018, at the chapel of Boyd Funeral Directors and Cremation Services in Salem.